Beautiful and charming furnished house within the city of Serra Negra. Property 6: Beautiful and charming furnished house within the city of Serra Negra. 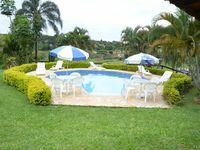 Chalet in Serra Negra, with water park for the season with your family. Property 11: Chalet in Serra Negra, with water park for the season with your family. 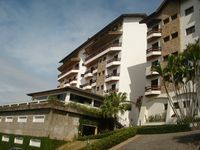 Property 19: Closed Condominium Orypaba Monte Alegre Water Circuit! Former Headquarters Farm Pool, Soccer Field, Trail, Lake for fishing. Property 22: Former Headquarters Farm Pool, Soccer Field, Trail, Lake for fishing. For rent Finca in Socorro - SP, for those seeking tranquility and laser. Property 26: For rent Finca in Socorro - SP, for those seeking tranquility and laser. Property 38: Very Beautiful Country House! The Condo had everything we needed, was clean, comfortable and was within walking distance to the beach, shopping and many restaurants. We had a fantastic girls vacation and are already planning our trip back! Dainora was very responsive to all of our questions before we arrived and provided all arrival instructions to us ahead of time. Agnes was easy to contact while we were there and provided us many useful tips about the area and anything additional we needed in the condo was delivered right away. We had a wonderful time and will definitely stay again and recommend to friends and family. Os donos s&atilde;o maravilhosos, Sr Luiz e Rosangela s&atilde;o atenciosos, educados, corretos e mto s&eacute;rios. A Chacara &eacute; &oacute;tima e super espa&ccedil;osa, n&atilde;o deixando de mencionar a paisagem que &eacute; incr&iacute;vel. Eu e meus amigos passamos momentos maravilhosos l&aacute; e vamos voltar com certeza! Os caseiros tamb&eacute;m s&atilde;o muito atenciosos e o leite e o peixe fresco (pesca) s&atilde;o um grande diferencial! Recomendo muito!